Here you can find an overview of publications around the topic of Design Thinking by the GDTA and its member institutions. 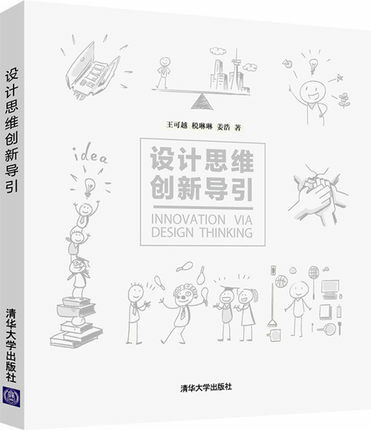 Written by professors from Communication University of China, it is the first book in China to introduce the Design Thinking mindset and 6-step process comprehensively with rich global and local cases. From 2011, the writers have planned and led more than 30 innovation projects and jointly coached over 100 workshops for customers in various industries. The book also discusses visions for the innovative future of China. 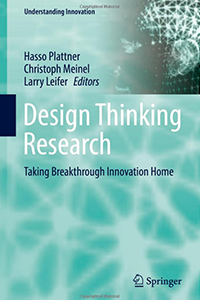 This book summarizes the results of Design Thinking Research Program at Stanford University and the Hasso Plattner Institute. Offering readers a closer look at design thinking, its innovation processes and methods, it covers topics ranging from how to design ideas, methods and technologies, to creativity experiments and creative collaboration in the real world, and the interplay between designers and engineers. The authors show how these methods and strategies actually work in companies, and introduce new technologies and their functions. Furthermore, readers learn how special-purpose design thinking can be used to solve thorny problems in complex fields. Accordingly, design thinking is not merely the result of special courses nor of being gifted or trained: it’s a way of dealing with our environment and improving techniques, technologies and life. Offering readers a closer look at Design Thinking, its innovation processes and methods, this book covers topics ranging from how to design ideas, methods and technologies, to creativity experiments and wicked problem solutions, to creative collaboration in the real world, and the interplay of designers and engineers. The authors show how these methods and strategies actually work in companies, introduce new technologies and their functions, and demonstrate how Design Thinking can influence such unexpected topics as marriage. 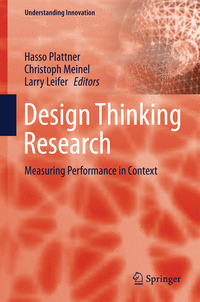 The authors offer readers a closer look at Design Thinking with its processes of innovations and methods. The contents of the articles range from how to design ideas, methods and technologies via creativity experiments and wicked problem solutions, to creative collaboration in the real world and the connectivity of designers and engineers. Furthermore, we see how special design thinking use functions in solving wicked problems in complex fields. Thinking and creating innovations are basically and inherently human – so is Design Thinking. Due to this, Design Thinking is not only a factual matter or a result of special courses nor of being gifted or trained: it’s a way of dealing with our environment and improving techniques, technologies and life. Design thinking as a user-centric innovation method has become more and more widespread during the past years. An increasing number of people and institutions have experienced its innovative power. 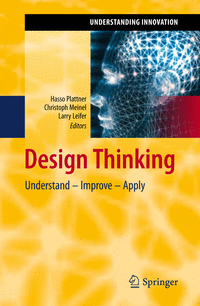 At the same time the demand has grown for a deep, evidence-based understanding of the way design thinking functions. This challenge is addressed by the Design Thinking Research Program between Stanford University and Hasso Plattner Institute. Summarizing the outcomes of the 5th program year, this book imparts the scientific insights gained by the researchers through their investigations, experiments, and studies. 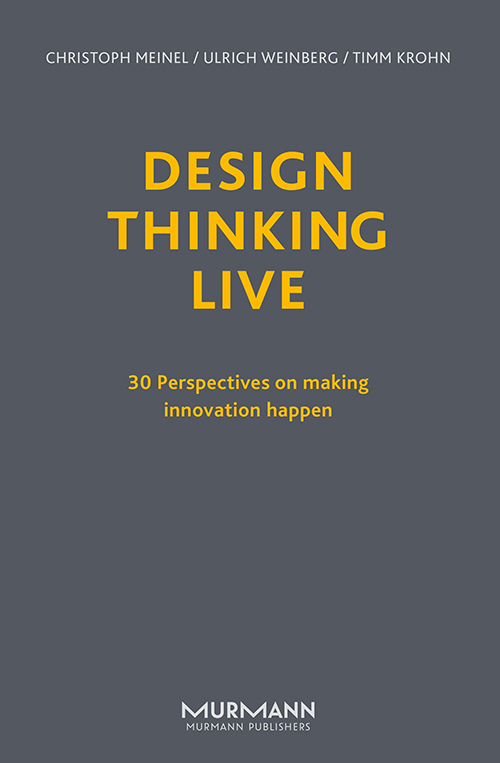 With this book, we aim to understand the innovation process of design thinking and the people behind it. The contributions ultimately center on the issue of building innovators. The focus of the investigation is on what people are doing and thinking when engaged in creative design innovation and how their innovation work can be supported. 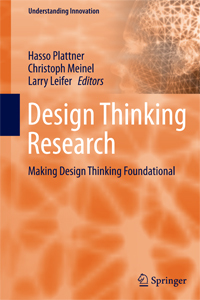 This book summarizes the results of Design Thinking Research carried out at Stanford University and Hasso Plattner Institute. The authors offer readers a closer look at Design Thinking with its processes of innovations and methods. The contents of the articles range from how to design ideas, methods, and technologies via creativity experiments and wicked problem solutions, to creative collaboration in the real world and the connectivity of designers and engineers. Thinking and creating innovations are basically and inherently human – so is Design Thinking. Due to this, Design Thinking is not only a factual matter or a result of special courses nor of being gifted or trained: it’s a way of dealing with our environment and improving techniques, technologies and life. This book summarizes the results of the second year in the Design Thinking Research Program, a joint venture of Stanford University and Hasso Plattner Institute in Potsdam. The authors have taken a closer look at the issue of co-creation from different points-of-view. The concept of co-creation can also be applied to the phase in which new ideas and related thought start to influence companies, the economy, our culture, and society. The perpetual pursuit for inventions, new creations and innovations is inherent in human nature. The concept behind co-creation may sound simple, however, it is both an essential element of Design Thinking and highly complex. It is about creating positive synergies for all parties involved. 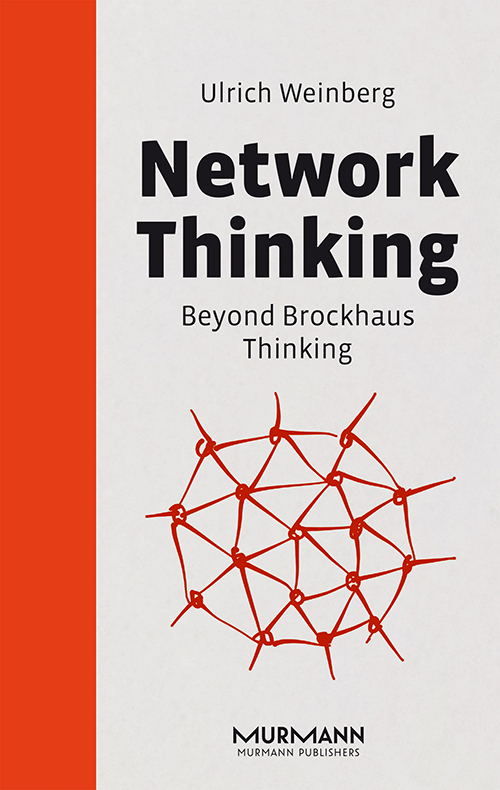 This book summarizes the results of the third year in the Design Thinking Research Program, a joint venture of Stanford University and the Hasso Plattner Institute. Understanding the evolution of innovation, and how to measure the performance of the design thinking teams behind innovations, is the central motivation behind the research work presented in this book. Addressing these fundamental concerns, all of the contributions in this volume report on different approaches and research efforts aimed at obtaining deeper insights into and a better understanding of how design thinking transpires. In highly creative ways, different experiments were conceived and undertaken with this goal in mind, and the results achieved were analyzed and discussed to shed new light on the focus areas. “Everybody loves an innovation, an idea that sells.“ But how do we arrive at such ideas that sell? And is it possible to learn how to become an innovator? Over the years Design Thinking – a program originally developed in the engineering department of Stanford University and offered by the two D-schools at the Hasso Plattner Institutes in Stanford and in Potsdam – has proved to be really successful in educating innovators. It blends an end-user focus with multidisciplinary collaboration and iterative improvement to produce innovative products, systems, and services. Design Thinking creates a vibrant interactive environment that promotes learning through rapid conceptual prototyping. In 2008, the HPI-Stanford Design Thinking Research Program was initiated, a venture that encourages multidisciplinary teams to investigate various phenomena of innovation in its technical, business, and human aspects.